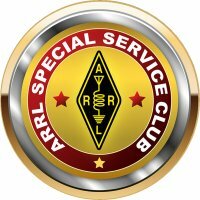 ARDF means Amateur Radio Direction Finding. It is also known as "Radio Sport", "T-Hunting", "Fox Hunting", "Bunny Hunting" ... or simply as a hidden transmitter hunt. The next RCT-sponsored hidden transmitter hunt will be held Sunday May 20, 2018, from 10:30AM until 3:00PM at Point Defiance Park in Tacoma, WA. Sign in at the Ft. Nisqually parking lot. Details are available here. A black and white map of the hunt area will be provided at the sign-in table. However, if you have a color printer, you may wish to download and print this version. The map has meridian lines and is suitable to use with a compass. This map also contains the list of bunny transmitter frequencies. Note that the frequency chart (upper right) shows a Bonus transmitter. The Bonus Bunny is more challenging for the hunter on foot but might also be approached using an automobile or on bicycle. The Bonus Bunny will be found via an easy trek from a safe parking area along the 5 Mile Drive in the park. For a detailed construction diagrams, see the articles "Adapting a Three Element Tape Measure Beam for Power Line Noise Hunting" (QST, May 2007); and "Tape Measure Beam Optimized for Radio Direction Finding" by Joe Leggio, WB2HOL. Periodically, the Radio Club of Tacoma hosts a tape-measure-yagi-building-party as a Saturday morning activity. Here is the antenna design built in April 2018, which is an adaptation of the work by WB2HOL. NOTE: Harbor Freight has very inexpensive tape measures for you to hack up, but they can be difficult to solder to. Danger!! The newly cut edge is razor sharp. Use a grinder to round the sharp corners. Some good electrical tape (like Scotch 33) will protect the sharp edge from puncturing your skin. Hidden transmitters are located by watching the signal strenth bars on the display screen of your 2-meter handheld radio. You will need to add a little metal box to your ARDF yagi antenna with a dial you can turn to attenuate the signal level as you approach the transmitter. Without any attentuation between the antenna and the radio, the signal received will be so strong the bars will show full maximum no matter which way you turn! The variable attenuator uses an offset design that requires tuning the radio to receive on a frequency typically 4 MHz above or below the transmitted frequency. For example, if the "bunny" is transmitting on 146.565 MHz, your handheld radio would be tuned to 142.565 MHz or 150.565 MHz. If you're new to bunny hunting, the event organizers will probably have tape measure yagi antennas with offset attenuators that you can borrow for the day. Instructions for constructing your own variable offset attenuator gizmo can be found on the Homing In website. Rich KR7W highly recommends this offset attenuator kit. Once you're bitten by the ARDF "bug" you may be thinking about ideas for making a transmitter that you can hide yourself at a hidden transmitter hunt. The basic ingredients are a low power 2-meter FM transmitter operating on battery power, attached to an inconspicuous vertical or dipole antenna, and a programmable transmitter controller. The controller turns the radio on and off at intervals, transmits an audible signal to identify which transmitter is transmitting, and finally, at the end of each short transmission, sends the required station identification callsign. An international standard calls for up to five hidden transmitters making brief transmissions in rotation. Each transmitter sends audible tones: first the Morse Code letters M (dah-dah) and O (dah-dah-dah), followed by a letter E (dit), I (dit dit), S (dit dit dit), H (dit dit dit dit), or 5 (dit dit dit dit dit). The hunter listens for the number of "dits", one through five, and knows which transmitter's signal is being received. The PicCon Transmitter Controller can be purchased from Byonics as a kit or fully assembled. The cost for this unit is in the $40 to $70 range. The ID-O-Matic IV kit available from Hamgadgets is another recommended option. This item is available only as a kit and priced slightly less than the controller unit mentioned above. It's easy to program by connecting to your PC's USB port and making menu choices.